Until very recently, SSD hard drives had a prohibitive price that prevented them from being considered an economic alternative to improve your computer’s performance. Now that this is no longer the case, it seems like everybody is throwing out their old magnetic hard drives, and although there’s nothing terribly difficult about the process, it’s still helpful to take a few things into account. Here we explain how to swap your HDD drive for an SSD, with the added option of cloning the content of your old unit so you don’t lose your data. They are totally silent as they have no mechanical parts that move. They do not heat up and they consume much less energy, making them ideal for laptops. Their lifespan is much longer. They take up less space (some 2.5”), making them excellent for barebones computers (like Steambox!) and laptops. For a bit over €/$100 it’s possible to find drives of up to 240GB in capacity. 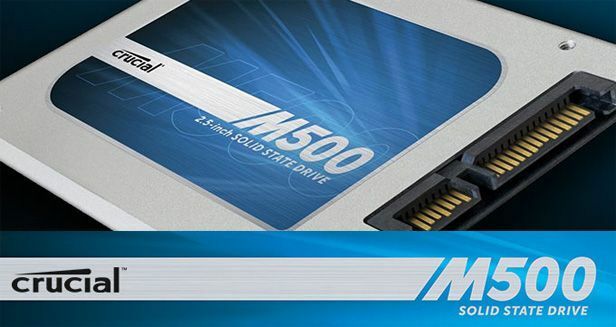 There are even hybrid SSHD drives that use magnetic discs to store information but also boast high-capacity solid-state memory to store your most frequently accessed data so you won’t have to worry about it. For example, 500GB SSHD drives usually have an SSD memory of about 25GB, where the files of the programs you use most are automatically stored. In the case of a standard SSD drive, the entirety of its memory is flash. Which SSD do I need? Another decision to take into account is whether you’re going to use only your SSD or add another unit alongside it to store data. In this case, you can get a small-capacity drive to use as your main one where you house your operating system, and another mass-storage drive for the bulk of your data. Thus, a good combination would be to have a 64GB SSD accompanied by an SSHD or a 1TB HDD. On the other hand, if you make intensive use of very large files or work intricately with a high volume of local information, perhaps you’d prefer to have not just your system files accessible at high speeds, but rather all of your storage, in which case, as we’ve already mentioned, there are SSDs out there that top 200GB at an accessible price. Whatever decision you make, the final price is likely to be quite similar. Should I clone my old hard drive or do a clean installation? Another decision to keep in mind is whether you want to transfer all the data from your old drive to the new one or instead do a clean installation. Cloning drives is a very simple process thanks to the proliferation of tools specialized to this task and distributed by the manufacturers themselves, such as Intel, Kingston, or SanDisk, among others. If your drive doesn’t have this option, you can turn to one of the many generic tools for cloning and copying drives with the free program AOMEI Data Backupper. This is quite an interesting option because among its tools it includes sector alignment, an operation that lets you align the blocks of your hard drive to adapt them to the partitioning system of your old HDD drive. Nevertheless, it’s recommended to always do a clean installation, not because the performance of the drive might be reduced (which in certain scenarios might prove to be the case), but rather because of the obvious benefits of not dragging along everything your old hard drive has collected throughout its lifespan if you haven’t given the drive much attention lately. The process of connecting the drive will depend on the nature of the operation to be done and the device where you do it. On a laptop you’ll have two options: to completely replace the former drive with a new one and proceed to do a clean installation of the operating system, or to use the space occupied by your DVD reader (if you have one) to store your old hard drive as a backup. There are adapters that let you use the tray as a secondary port, although its availability will depend on the manufacturer and the compatibility with its products. On a desktop computer you have to take several things into account. SSDs measure 2.5″, while traditional ports are 3.5″, meaning that you’ll need to get an adapter (which is simply a little piece of metal) to click your drive into place. You’ll also need a SATA cable to connect to the motherboard and a power connector for it. There’s a lot of controversy about the existence of specific SATA III cables that can handle transfers of up to 6GB/s as standard. Several analyses claim that the difference between cables is negligible. We leave this to your judgment. The obvious detail is that if you’re going to clone a drive you’ll need to have both of them connected at the same time. If you’ve had any problems with the physical installation, you can opt for a SATA>USB or IDE>USB adapter (which are quite cheap) or do the clone with the SSD as an external unit and once you’ve finished the process take out the old hard drive and connect the new one. If you’ve decided to make an exact copy of your old hard drive, you’ll have to access one of the aforementioned programs. In the case of AOMEI software you’ll go to the Clone > Clone Disk option and follow the instructions that appear on the screen asking you for your unit of origin and destination. Another interesting option to do the clone and automate the entire process is to use Partition Wizard, another free tool that also includes the option of automatic alignment. Here is a tutorial on how to use it.